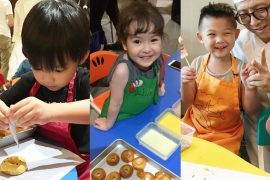 Last week was Racial Harmony Day and many little ones were dressed in the traditional costumes of the various ethnic groups in Singapore, as well as those of different nationalities. Here are the striking outfits that caught our attention. Shufan’s little one was dressed in a mini baju melayu, complete with a little songkok. From the bright smile he has on his face, it looks like it was a rather comfortable outfit to have on. My Chinese Bun VS my Korea Kimchi . Yeah im back here ! 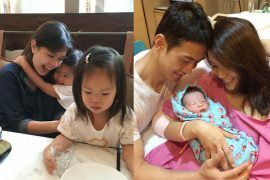 Gwen’s elder one was dressed in traditional Chinese garb, while her daughter was pretty in pink in a Korean hanbok with delicate floral embroidery. 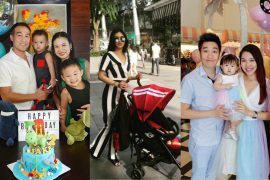 Lynn’s little one Charlotte looks like she’ll fit right on the set of The Little Nyonya with her mini embroidered kebaya and floral ballet flats. 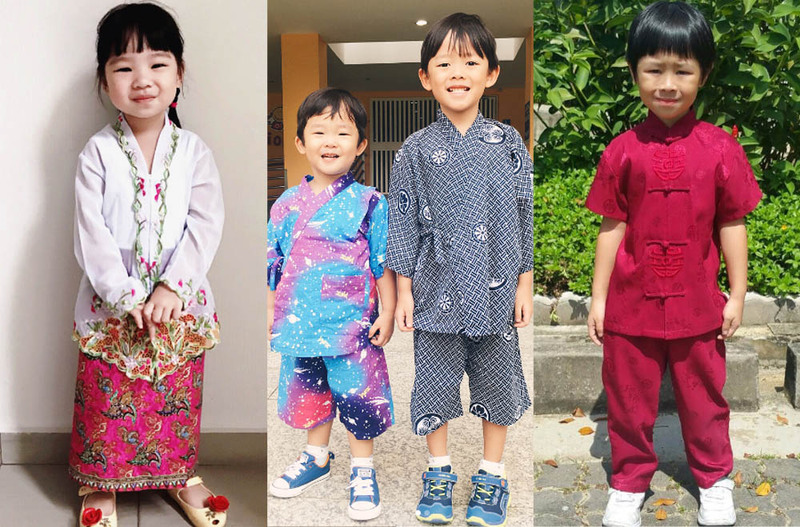 Kiddos dressed in their traditional costumes for Racial Harmony Day, which represents a day for schools to celebrate Singapore's success as a racially harmonious nation and society. Something I'm so thankful for – peace and harmony! They told me they had traditional delicacies such as sushi ? and chapati! SO fun! 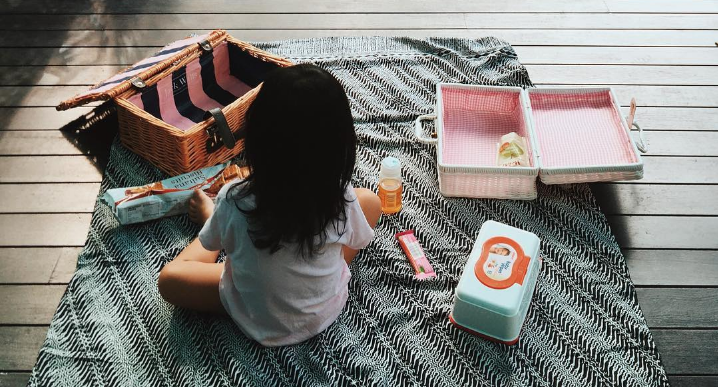 #racialharmonyday #sgkids #RaisingBoys How have you been spending the day? 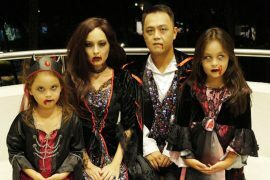 Geraldine’s twins chose to don Chinese costumes, while her eldest boy rode on the Hallyu wave and put on a Korean hanbok . We love how their school didn’t celebrate just by getting the kids to wear traditional costumes and that her kids got to tuck into sushi and chapati. Konnichiwa! So nice to see all the kids in their outfits this morning. My brother- and sister-in-law currently reside in Japan and they sent over these lovely yukata for the boys. But when I told them they would be wearing these for Racial Harmony Day, they started wailing in the backseat of the car. Because, "I am a Chinese boy and I should wear Chinese costume and if you wear another costume, it means you live in other countries." And then this morning, Mr 3 bawled all the way to school in the car. Because, "I really want to eat the cereal. In my bowl. At home only. I wanted a lot." Hmph. Thankfully, it ends well. The school was all festive and there was a party vibe going on so they got really excited and happy. Sometimes, I sniff at their sleeping heads and kiss their bouncy cheeks and feel a sense of unbearably overwhelming love towards them. Sometimes, though, they can be little assholes. Happy Friyay! Yann’s boys have such strong pride of being Chinese that they initially resisted Yann’s efforts to put them in Japanese yukatas. We’re glad that everything turned out well in the end and both had beaming smiles on their faces.